The Centre for Innovation and Entrepreneurship (CIE) at IIIT-H continues its decennial celebratory streak with the inauguration of a specialized incubator for medtech startups. With its well-lit working spaces and open design, the incubator is aptly titled Ojas – the Sanskrit term for the seat of all vitality, energy, good health and wellness. It has been set up with support from the Biotechnology Industry Research Assistance Council (BIRAC), a Department of Biotechnology, Government of India initiative under the Bio-NEST (Bioincubator Nurturing Entrepreneurship For Scaling Technologies) scheme. The innovation ecosystem in healthcare is vibrant but still nascent in India. Entrepreneurs often have strong scientific backgrounds and fantastic ideas but bringing products to market remains a challenge. A medtech incubator seeks to fill this gap through mentorship, partnerships and access to business focused networks. As Head of Innovation and Strategy at Ojas, Radha Rangarajan has an extensive background in the life sciences. An entrepreneur herself, she has co-founded Vitas Pharma, a company working on novel antibiotics and rapid affordable diagnostics. 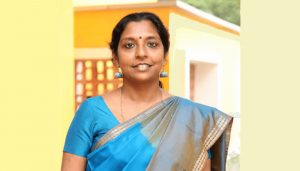 As both researcher and entrepreneur, Radha brings profound insights into product development, regulatory aspects, clinical validation and funding. “I wanted to return something to the ecosystem and that’s the reason why I decided to take on this role,” she says. Her background certainly helps in supporting other entrepreneurs. She says, “I can empathise with the entrepreneur’s pain, having been there myself. But now as head of the incubator, I have the opportunity to find solutions and enable entrepreneurs to be more effective”. 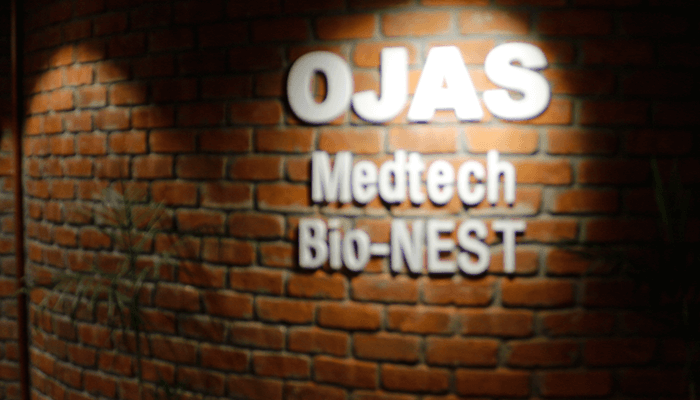 We caught up with Radha Rangarajan in the new premises where she spoke about the reasoning behind OJAS, its selection process and what the ecosystem can offer. Read on. Why was there a need to set up a specialized Medtech incubator? The reason to dedicate an incubator to medtech startups is because there is a difference in how medtech products are developed versus other type of tech driven products. Healthcare products need to go through rigorous testing (validation) before they get to the market. Some products require approval by the regulatory agency, so they need to be subjected to clinical trials. Medtech startups also have special needs during the prototyping stage. For example, companies developing artificial intelligence-based algorithms need access to structured data, typically from a hospital or a diagnostic center. Finding such data can be a challenge, particularly in India. Individual companies solving this problem are expending valuable resources over and over again. If an incubator finds a solution, individual companies save time and money. In the long term, enabling companies to work more efficiently can make a significant difference to the pace of innovation. What is the model you are working on? The plan at OJAS is to enable companies to build products end-to-end. There is tremendous expertise available within IIITH in deep tech, whether it is AI, ML, computer vision, signal processing or NLP. But much more is needed. Our vision is to deliver “everything else”, be it physical infrastructure or expertise, through partnerships. For example, we have created a consortium of clinicians and researchers whom we are tapping into for idea validation and product testing. Likewise, we have entered into a MoU with AIC-CCMB to access wet lab facilities. What are you looking for in a startup as part of the selection process? Some of the startups that are now with OJAS were already part of CIE but they had a very strong healthcare focus. So they were migrated to OJAS. We’ve picked companies in the last 2-3 months through two acceleration cohorts. The selection was on the basis of three key questions: What is your product? What is the value to the end-user? What is your differentiation? A company incubating with us should be solving a problem in the healthcare space relating to disease diagnosis, detection, prevention, treatment, monitoring, wellness, rehabilitation. We also take into account how well the idea has been validated and how much prototyping has happened. Is there anything on the anvil as part of the industry-academia interface? The research of several IIITH professors has potential for application: Prof. Syed Azeemuddin, Prof. Tapan Kumar Sau, Prof Jayanthi Sivaswamy and Prof. Kavita Vemuri. They are either working on the application out of their laboratories or are looking to seed companies. One such example is Soujhe Innovative Healthcare Devices. Their work is inspired by research from Prof. Kavita Vemuri’s laboratory. We encourage and support such activities.